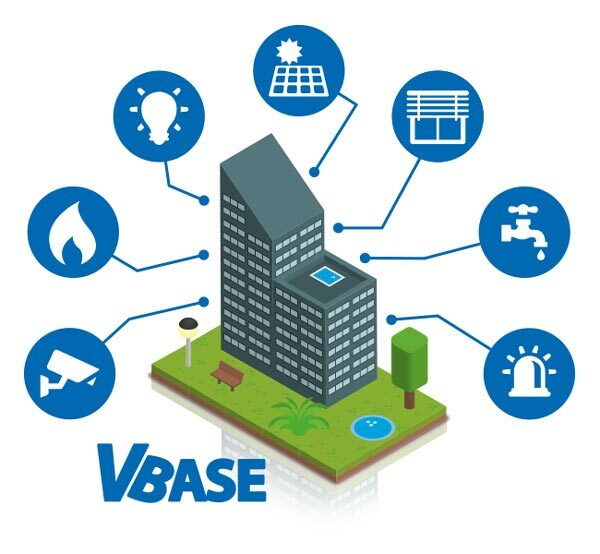 VBASE Smart Building | BMS, Building Management Systeme, Central Building Control System. The future is moving in today. Automated and remotely controllable Smart Buildings. 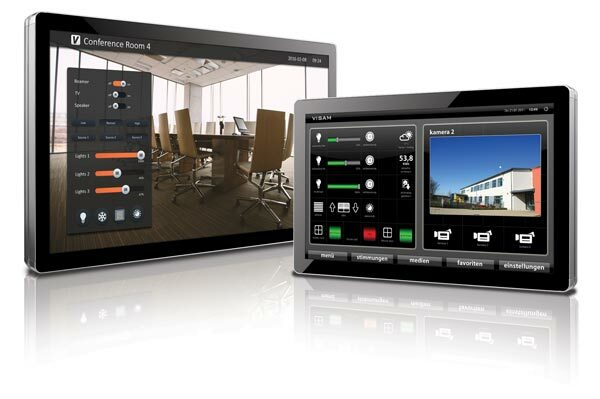 Visualize, control, monitor and automate building technologie with VBASE. Under "Smart Buildings" we understand, intelligent buildings whose technical equipment offers a high degree of comfort, safety and efficiency. 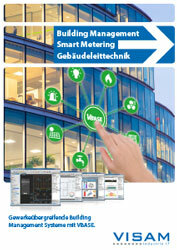 In the meantime, numerous providers offer their "smart solutions" for the digitization of building facilities. For example, Lighting, shading and HVAC units can be controlled according to their demand. The problem in practice: The different solutions are usually not compatible with each other. Unfortunately, this results in isolated applications for certain trades, which are not interconnectable with other systems. VBASE integrates and automates all trades and many systems from different vendors in one system, making them accessible under a single user interface. VBASE connects all these systems to trade-spanning building management systems. In doing so, many functions are made possible by linking the data of different trades. If, for example, the alarm system is armed in a factory, one can assume that there are no more people in the building. Depending on this event, VBASE deactivate the lighting in the entire building, set the emergency lighting to night mode, lower the heating and air-conditioning systems and so on. The above-described scenario naturally saves energy. By means of the permanent monitoring of the energy flow, it is also possible to detect unrecognized "energy waster" for example leakages or the unnecessary operation of certain devices (e.g. hot water preparation in the absence). With the installation of solar power plants, the use of this energy can be significantly optimized. Unfortunately, nature does not provide the alternative energies such as sun or wind, as is well known, whenever it is needed. Here, it makes sense to manage the available energy as sensibly as possible. For example, if a company has electric vehicles, these can be automatically loaded whenever more self-generated energy is available than it is required. Or in certain areas it is even possible to use warehouses as indirect energy storage. So the excess energy can be used to cool down goods in a cold store within the permissible specification more than necessary. If sufficient energy is not available, the warehouse does not need new energy due to the lower temperatures. The possibilities described above represent only a small part of what we understand under "Smart Building Technology" here at VISAM. 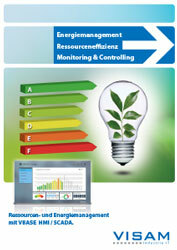 Building Management Systems must always be designed to meet the individual and specific needs. We are at your disposal with your experience during your planning! Please request our latest VBASE price list today.